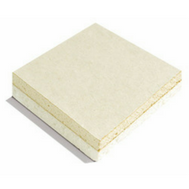 At Sydenhams we stock a wide range of plasterboards for most building purposes, manufactured by Siniat. 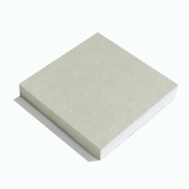 Gypsum board with ivory paper-face ideal for wall partitions and ceiling applications. It complies with current British Standards. 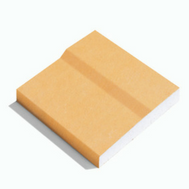 This plasterboard is a 19mm version of GTEC Standard Plasterboard. 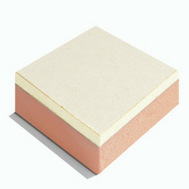 It is suitable for wall and flooring applications and is better at reducing sound transmission than GTEC Standard Board. It complies with current British Standards. A 4 foot long GTEC ceiling board ideal as a base for skimming. It complies with current British Standards. 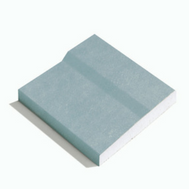 GTEC Standard Plasterboard with an additional laminated vapour control layer, ideal for wall and ceiling applications. It complies with current British Standards. Plasterboard with moisture resistance ideal for use in humid areas such as kitchens, bathrooms and utility areas. *For very high humidity areas please use Aqua Board. It complies with current British Standards. 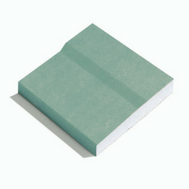 A water reststant plasterboard ideal for use in high humidity rooms such as kitchens, bathrooms, shower rooms, swimming pools and health spas. It complies with current British Standards. 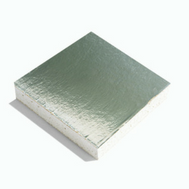 A plasterboard providing additional fire resistance. It complies with current British Standards. A plasterboard providing superior acoustic performance. It complies with current British Standards. 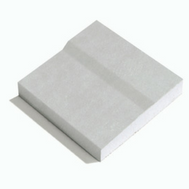 9.5mm plasterboard bonded to extruded polystyrene (XPS) for improved insulation. It complies with current British Standards. 9.5mm standard board bonded to expanded polystyrene (EPS) for improved insulation. It complies with current British Standards. For more information please contact your local branch.